Aron Smith won the third race of the day at Rockingham for BKR. The Volkswagen driver defended perfectly from Honda's Gordon Shedden, who had to resist a charging Colin Turkington in his Subaru. 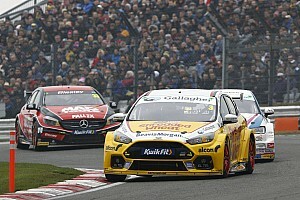 Smith led the way at start, despite a better getaway from Team Dynamics' Matt Neal. Meanwhile, Jack Goff and Mark Howard made contact, and a safety car was required to clear the track after the incident as Smith led from Neal Mat Jackson's Ford, MG's Ashley Sutton and Motorbase Performance driver Andrew Jordan. The race restarted and it was immediately Shedden who put on the show, making up places up to third into lap six. Two laps later Neal let his teammate through, just before another safety car period was required due to a contact between Sutton and Dave Newsham. 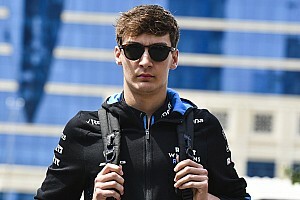 Smith had built a three second gap, which was neutralised due to the caution period. At the re-start the Irishman kept Shedden at bay, while Turkington started making up places and was third before the safety car was once again deployed to recover stricken Scott Warren's Subaru. The race resumed with three laps to go and, despite Shedden's best efforts, the race was won by Smith. 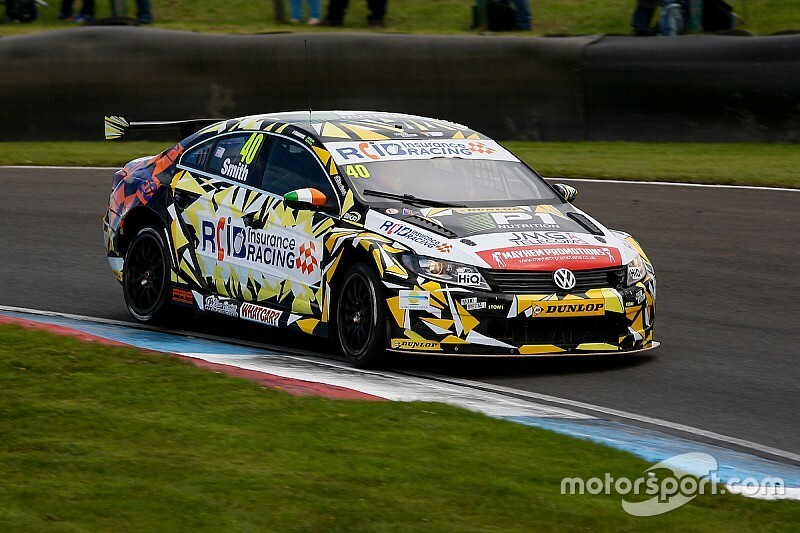 The Scotsman was second ahead of Turkington, who made a great recovery to finish on the last podium spot. Neal managed his option tyres perfectly to finish fourth in the Team Dynamics Honda, ahead Jackson. Rob Collard was sixth under the flag in his BMW ahead of Adam Morgan's Mercedes. Jake Hill also had a very good race and finished eighth in the Team HARD Toyota Avensis. 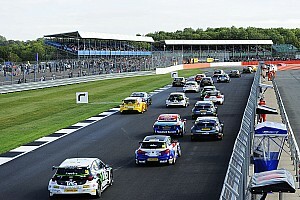 Ciceley Racing's Aiden Moffat and a recovering Jason Plato in the Subaru completed the top ten. Championship leader Sam Tordoff struggled with option tyres and finished just outside the points in 16th in his WSR BMW. Despite the setback in the third race, Tordoff still leads the championship by five points over Neal. Shedden is third, now just 20 points behind the leader, with Mat Jackson fourth a further 8 points adrift.